This is one of the most charming books I have read. Young Erica lives on her own whilst her uncle travels the world studying birds. He has been gone from home for around two years at the beginning of this small volume, and the money he has left for Erica to use, is getting a little low, which is a worry. On Erica’s 10th birthday she opens her front door to find a rather confused pachyderm standing on her doorstep with a note attached stating that she has a Legal Right to the elephant. Feeling sorry for him she invites him inside…after all it can’t be good to be left on a doorstep without knowing who or why he has been left there. Some damage is done to the door frame. More to the stairs and the bathroom, and Uncle Jeff’s bedroom also sustains some as the elephant takes up residency. This is a beautiful story about friendship, bravery and practicality – it really is a wonderful little book, only 135 pages long, and there is a note in my proof to state it will be illustrated. Due to be published on the 2nd of June, as a small hardback. I trust Scholastic will give it a good quality binding, such as one that the story deserves. Perhaps they might consider giving it a lovely dust jacket too. I usually give away my proofs. This one I will keep, along with a copy of the finished volume. It is very special. The cover doesn’t look to have been confirmed as yet, so I thought the above photograph of an elephant’s eye in such detail might give some indication of what it might be like to live in a small terraced house with a very large Indian elephant. I started this yesterday and I’m loving it. A superb adventure. A most uncommon adventure, to be precise. A unique fantasy – with extraordinary attention to detail and a plot full of tension. I have to admit to not having finished it yet – I’ve only got to page 149 of some 360 odd pages. A brilliant story set in a world that exists beneath London. Things are similar, but not the same; some things are sentient, many have abilities and uses which are unusual, not to say uncommon in London. A world with similarities to our own, but also with many important, extraordinary and uncommon differences. It has some shades of Harry Potter, but is also something else altogether. Similar in feel, perhaps, but definitely not the same. I am sure that when I have finished this, I will return to this post to give a fuller account of this book – which I hope and trust is the start of a series of books. If not I will be severely disappointed! I have tried to find a picture of a nice black feather quill to illustrate this post. The significance of which I will leave for you to find out when you read the book. Sadly I couldn’t find one that was quite right – so have resorted to this close up of black feathers, which I thought was rather beautiful. Though probably not as sinister as it should be. Read this, and the following volumes in the series for which this is without doubt the first volume. The proof I read had been badly bound. It was almost too tight to be read with ease and as a result, I very nearly didn’t read this volume at all. Which would have been a pity. This is a book for anyone who enjoys cartography, maps, and travel – it is an adventure into the unknown. It is also a story of bravery, acceptance and sacrifice. An extraordinary volume and a rather unique piece of fantasy. My proof had page decorations; some of compass lines, others of old style map decorations – those that used to be depicted along side a note that stated ‘Here be Monsters’ beyond which point no one knew what to expect… I hope that the idea is carried through to the finished book, and is carefully and sympathetically done – a rather lovely touch. This is a splendid large octavo hardback volume full of Yuval Zommer’s wonderful pictures of bugs, both large and small with notes on their natural history. It really is a superb volume, dramatic and lively. I suppose officially it is for younger readers around five or six or so years of age. Actually it is one of those books that may well be enjoyed and loved by anyone of any age who enjoys Yuval’s art work – it is a wonderful volume. On Wednesday the 6th of April 2016 Yuval will be at Waterstones Finchley Road O2 to talk about this book, and to sign copies at 2 o’clock – a wonderful opportunity to meet this rather extraordinary author. Other titles: The Big Blue Thing on the Hill and more recently 100 Bones…. I know very little about ‘art’ – as in the art that is depicted in the National Gallery and the Wallace collection. That isn’t to say that I haven’t enjoyed wandering around both galleries over the years. Grandpa introduced me to art – he made me a member of the RA, and after a special trip to the Wallace purchased a copy of The Arab Tent (Landseer) for me. We once went to the London Museum together, I remember, and somehow landed up in a gallery with an ‘installation’ I think it is called, of steel girders. Neither of us were very impressed. We thought it would have been better to have used them in a building. Usually, we looked at paintings and we discussed how the artist had depicted material, (for example velvet) and expression, that type of thing, so perhaps the girders were unlikely to get much of a positive review from us. Since then I have spent some time wandering the National Gallery too – at one time carefully going through their guide book, and buying post cards of the art I particularly liked. I picked this volume up, initially as something to pass the time in a lunch break at work – without expecting much. The cover is (I think) uninspiring and to be honest rather over emphasises the love element of the book and though it does give an indication of the art it doesn’t indicate the importance art has to the story. It is a tale of murder, of stolen art, of identity, and there is that element of love in it too. One character I particularly enjoyed, the personification of The Improbability of Art – a self important character, but with a remarkable astute knowledge of people and their behaviour over the centuries. I learnt a considerable amount about old art, some about how the art ‘world’ works, the auctioneers, dealers and a little about how paintings were produced, and how they try to verify the artist. I enjoyed the language too – to the extent of noting words and phrases used in my mobile, (it seems to have taken the place of a note book), most of which I knew, but had forgotten: effluvium, solipsistic, uxorial, peripatetic – perhaps because I read so much children’s work, that it gave me a joy to read these words again, like old friends. My only criticism, if it could be called such, is that the detail that is strong through out the rest of the book is not there as the strings of the mystery are gathered together in the last chapter. Though perhaps it was a wise decision. The book runs to 479 pages and perhaps to give the end the detail it deserved, would have extended it too far. The book is due to be the Book of the Month (Waterstones) in April for Adult Fiction. The Rococo art, and the art world is brought brilliantly to life in this rather good piece of fiction. 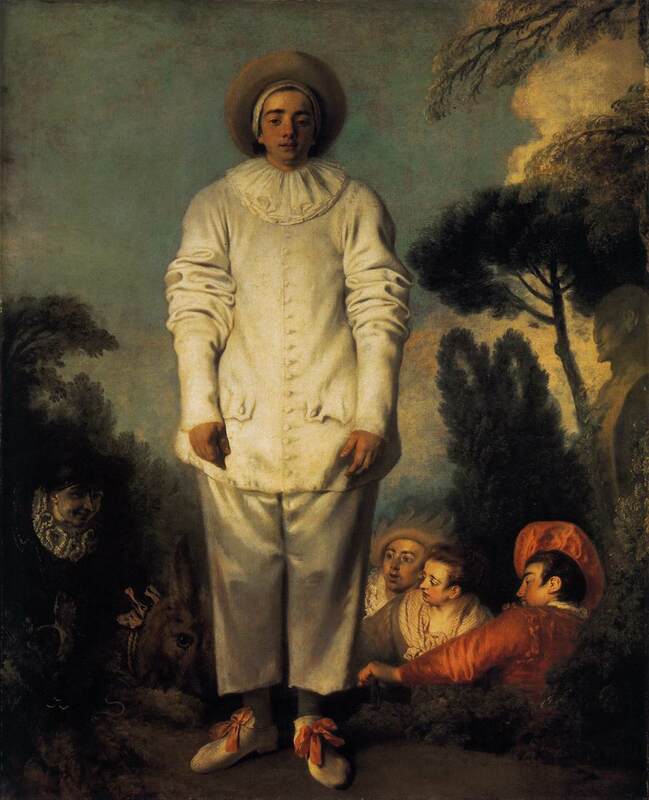 I have to admit to looking up Jean-Antoine Watteau (1684 – 1721) and found that I had seen and enjoyed several of his pictures over the years without knowing much about the artist. 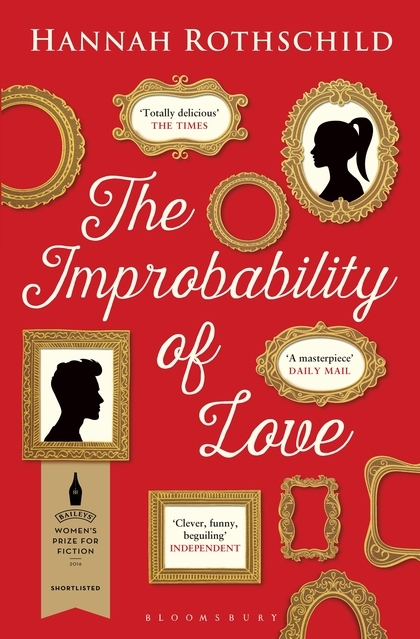 I also wanted to see if The Improbability of Love really existed. Sadly that part of the story too is fiction. I suspect though, it would have been very difficult to have used one of his works – particularly as I think it would have been wrong to have given a fictional history to a picture that has one already. This story is about overcoming the odds when they are stacked against you. Finding friends in unexpected places and about wildlife and the environment. A book for people who care. It is, perhaps, a book of hope. I don’t know why, but it isn’t often that I enjoy American authors. I keep reading Erin Lange, however, so there must be something in her writing. This is very American, both in its use of English and story line. It is the story of four teenagers whose lives become entangled initially through no fault of their own. It’s about burgeoning friendships, families, heroin, guns, corrupt police and a violin. It is about a chase against all odds and finally about what is important. I read it with intervals of work and sleep over two days or so – another Erin Lange (Butter and / Dead Ends). Another for you to enjoy too.